Some of you are flying into Florence or will be spending few days in Florence and will be transferring to Vernazza in the Cinque Terre by train. Here is a little guide to make it easier for you to get from Florence to Vernazza. Almost all of the trains to Vernazza will require you to get off and transfer at two stations. The most common transfer train stations are PISA CENTRALE and LA SPEZIA CENTRALE. For TRAIN SCHEDULES and FARES, trenitalia.com website (English version available), and use “Firenze (S.M. Novella)” as your departure station and “La Spezia Centrale” as your destination station. Then you have to buy the Cinque Terre Express ticket from La Spezia Centrale to Vernazza. There are automated ticket vending machines (payable by credit card) in the Florence train station, which you can use to purchase your tickets, but you can also buy them online in advance. Remember, any time you take a train in Italy you need to validate your ticket. There are stamping machine in all the stations and on the tracks (usually a green squarish box. Slide the ticket into the machine, you’ll hear it get stamped, and then take the ticket with you on board. Prices: Range from 14 euros to 30 euros, depending on the train you catch. Duration: Approx. 2:30 – 4:00 hours, depending on the train you catch. Walking down the main street, via Roma, you’ll get to the main square, the one facing the sea in approx. 300mt. 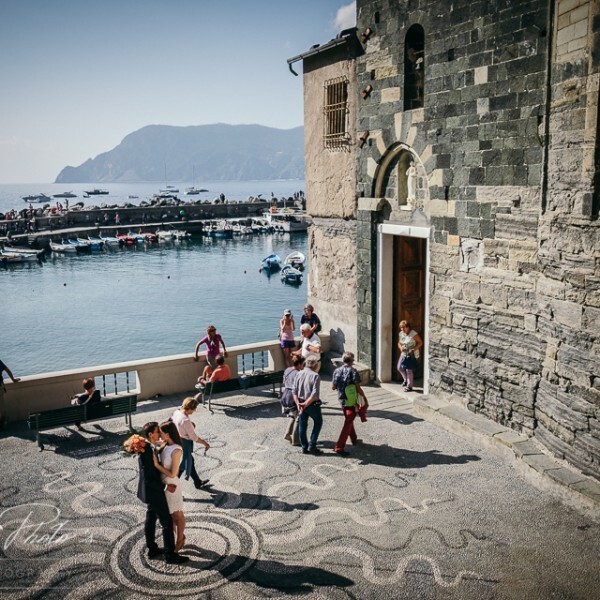 If you reserved a room or an apartment with us in Vernazza, look for our office Cinque Terre Riviera . We are located 60 meters after the train station stairs on the left side.